Kevin McNamara is an experienced, gentle dentist. He graduated in 1988 from the University of Missouri-Kansas City School of Dentistry. Prior to dental school he earned a Bachelor of Arts in psychology at the University of Missouri-Columbia. GO TIGERS!! 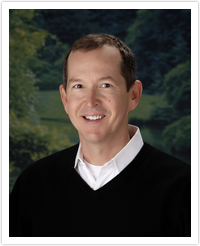 Dr. McNamara began his dental career in Kansas City and has been providing quality, comfortable dental care to Belton and Raymore residents since 1991. Dr. McNamara enjoys working with his patients, both older and younger, to help them overcome any fears or concerns they have about dentistry. Each patient is treated with personalized care, time and attention. He recognizes each patient is unique and is respectful of that. Achieving a relaxed positive dental experience for the patient, as well as educating them about their oral health is his primary goal. He considers it a compliment when patients refer their family and friends. He finds it extremely gratifying when his patients achieve the confident healthy smile they deserve. Dr. McNamara is a member of the American Dental Association, Missouri Dental Association and The American Academy of Cosmetic Dentistry. He has volunteered for the Research Belton Foundation and the Kansas City Free Health Clinic. He has completed hundreds of hours of continuing education to ensure his patients are provided the most up-to-date care available. In his free time, Dr. McNamara enjoys spending time with his family and friends. He enjoys being outdoors, horseback riding, boating, swimming, traveling, and seeing his favorite music artists live in concert.